Businesses Informatics College held a seminar about the educational and learning services of Google. 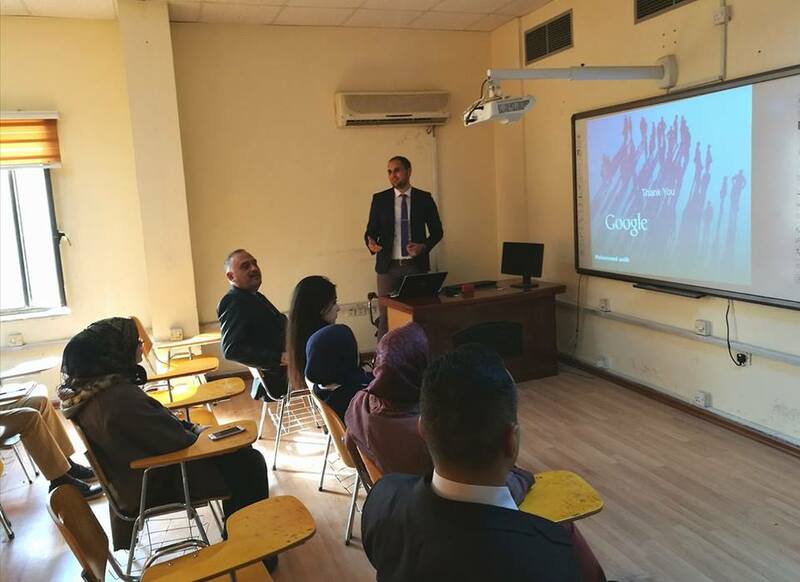 Businesses Informatics college at the university of Information Technology and communications held a seminar about the special services of Google engine in learning and educational fields (Google-Suite-For-Education). The seminar attended by the dean of the college and a number of lecturers. The seminar presented by the lecturer Mohamed Mahdi Saleh. The seminar aims to rise up the educational level at Iraqi universities. The lecturer presented a brief about the history of Google Company. He focuses on the free services and others presented by Google via the internet. As well, one of the most distinguish services presented by Google is data archiving, rights protection of these data and managing data. These services provide high security and speed. In addition, Google Scholar search which enables researcher publishing scientific researchers.